Milk is a fluid of white color produced by the mammals’ mammary glands. Its purpose is to provide essential nutrition to infant mammals before they are capable of processing other types of food. An agricultural industry extracts milk from mammals and introduces it to the chain of human food. 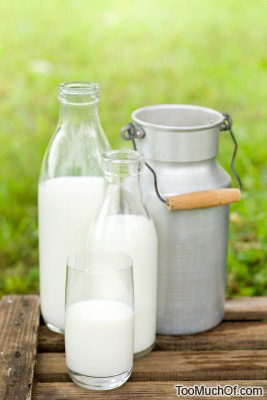 Dairy farms worldwide produced approximately 750 million tons of milk in 2012. Although the milk is considered to be a great source of protein, calcium and fat, it can also become toxic to human body if too much milk is ingested regularly over a prolonged period of time. In some parts of the world where the food industry pushes the production of milk beyond natural production limits of the animals. The milk is often tainted with compounds and organic matter that is highly toxic to human body.